Radio Pakistan on Tuesday launched a weeklong special transmission to intensify a fund-raising campaign for the flood-affected people of Sindh.Each station will broadcast a daylong transmission locally in Urdu and all regional languages, including Sindhi, Seraiki, Punjabi, Balochi, Brahvi, Pashto, Hindko, Potohari, Kashmiri and Sheena. 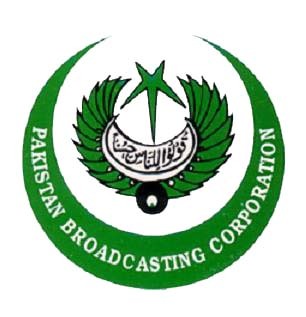 All AM and FM stations of Radio Pakistan, including FM 93, FM 94, FM 101, and the current affairs channel, “National Broadcasting Service or NBS,” in their popular and flagship programmes, are already airing special motivational songs, promos and appeals for donations for the flood-hit people of Sindh. Radio Pakistan has deputed its reporting teams in all flood-hit areas, which are sending live reports to highlight plight of the people as well as the government efforts to provide relief to the victims. Radio Pakistan Director General (DG) Murtaza Solangi is himself present in the affected areas to personally supervise these teams. In all national and regional news bulletins, special appeals are being aired asking the countrymen to play their role in this hour of need by providing generous donations for the flood-hit people. The listeners are motivated to send SMS on 4472 by their cellular phones to contribute to the efforts to mitigate the sufferings of the flood-hit brethren. All the stations of Radio Pakistan in Sindh have also opened special bank accounts to collect donations for the flood victims. The employees of Radio Pakistan will donate one-day and three-day salary according to their scales in the coming October to the Prime Minister’s Special Relief Fund as decided by Federal Information and Broadcasting Minister Dr Firdous Ashiq Awan. At the same time, Radio Pakistan is also playing its role as a medium of the people to create awareness among the masses about dengue fever which has hit Punjab and other parts of the country. Pakistanis are a valorous nation and the people have demonstrated in the past that they never lag behind in rescuing their brethren whether it is an earthquake, floods or outbreak of any disease. This time, too, the nation is providing generous help to the people hit by the devastating rains and floods in Sindh.